The shawl is a two color lace sampler triangle worked from the bottom edge to the center point (so your rows get shorter and shorter as you go – which also means faster and faster!) 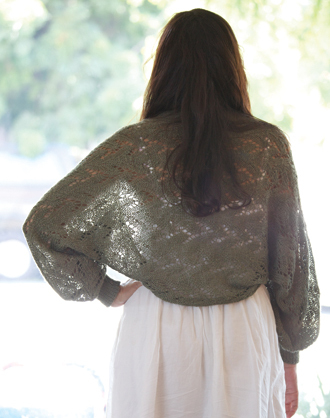 It has a soft delicate vintage vibe that is so popular right now. 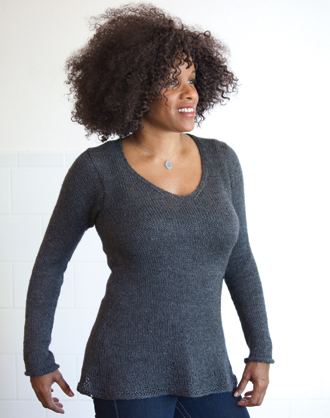 Soft Linen is a linen, wool and alpaca blend. 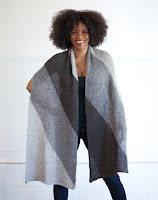 The wool in the Soft Linen gives it a nice drape, while the alpaca gives it a touch of warmth and a halo that makes the shawl a great three season piece. Throw it on over your outfit on chilly spring mornings or to keep warm in the chilly A/C world that we live in during the summer months. And it's still appropriate for those fall days when you don’t quite want to admit that winter is coming. 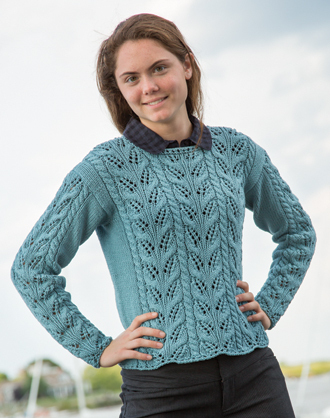 Rachel knit the sample in Winter Pear and Titian Blue. But what if you want to try something a little different? We put our creative minds together to come up with a few other color combos that you might want to try. Using the magic of Photoshop, and a talented Graphic Designer, we are able to preview them for you. 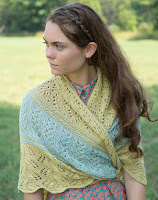 The first color combo is Linen and Celadon. It still has a similar antique feeling, but is a little less scary for those who aren't as comfortable mixing colors. 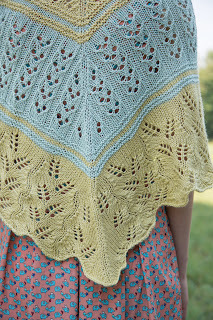 We also paired the Linen with Titian Blue, which is a beautiful colorway. 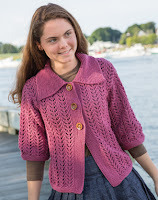 The Botticelli Pink with the Linen is a soft color combo with a hint of girlishness. 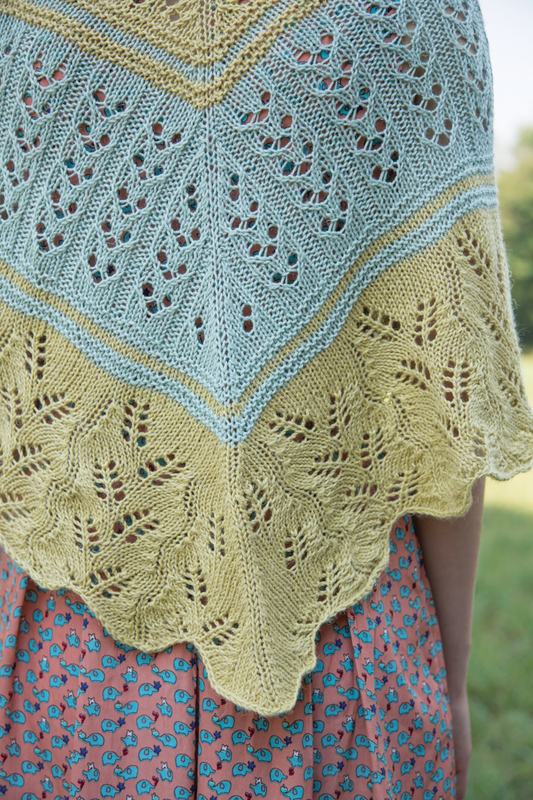 The blue/green color combo of the Deep Cornflower Blue and New Fern is reminiscent of the original shawl, but with a little kick. From Left to right: Blue Grotto and Inca Gold, Blue Grotto and Titian Blue, Blue Grotto and Kentucky Blue, Kentucky Blue and Tangerine, New Fern and Deep Twilight, Kentucky Blue and Turk Red, Turk Red and Deep Twilight, Loden Green and Smokey Rose, and Kentucky Blue and Loden Green. I know you can’t wait to cast on! You can buy the pattern on Ravelry here or at your LYS. View all the colors of Soft Linen here. I have been waiting with bated breath to show you guys our spring line. There are so many great things to share. I hope your high speed internet is working, because this is going to be a picture heavy post! We have 16 (16!) new pattern booklets for spring. Below I've picked a few pieces from each booklet, just to whet your appetite, but be sure to check our website for ALL patterns in ALL designs. There are 65 for you to choose from! Make a visit to your local yarn shop to see each beautiful booklet - you'll want to look at all the details, figure out what sizing works best for you, pick which color to use - you know the drill. 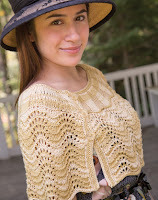 Or download any individual pattern through Ravelry. I dare you to just pick one! 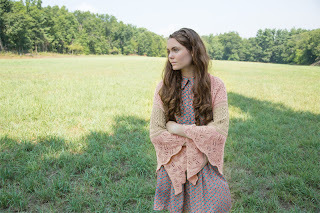 There is no question that our good friend Kristin Nicholas is a color genius. 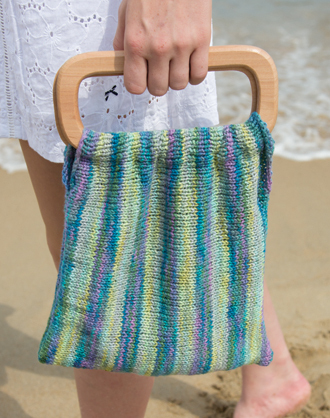 So it was no surprise to us when CreativeBug approached her to make a video on knitting with color. In her class, Kristin's Color Wheel, you will learn about color and how to successfully use it to get the look you are going for. She teaches the viewer about values and neutrals, analogous colors, complimentary colors and how to layer colors. 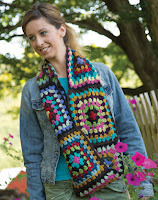 She also discusses using color with confidence - something most of us could use a little help with. 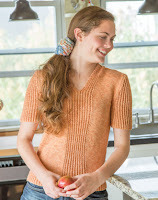 But this isn't just a knitting class. You can apply the techniques that she teaches in her class to everything from your next Fair Isle project to a quilting project to redecorating your living room. Color is everywhere! Check out a free introduction to the video by clicking on the player below. 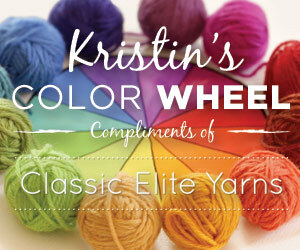 Kristin's Color Wheel: Compliments of Classic Elite Yarns from Creativebug on Vimeo. Use promo code CLASSIC for $10 any subscription until March 15, 2013.